WordFly keeps a record of your subscriber and their email response activity. If they opt-out from an email, an unsubscribe is logged on their record in WordFly. Sometimes a subscriber will request to be added back to your mailing list. If you have their permission, you can go back into WordFly and override the unsubscribe on their account by following these steps. There are a couple ways to re-subscribe subscribers to your list. Try both ways out and decide which way works best. 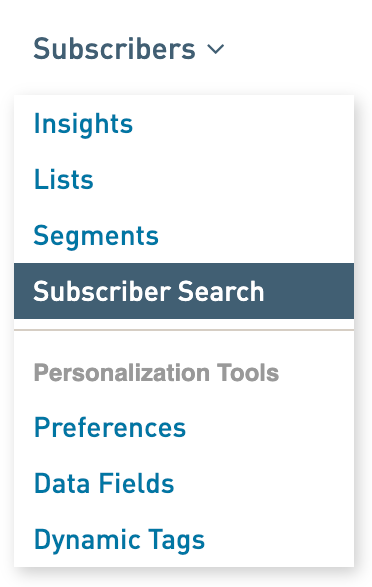 You can use Subscribers > Subscriber Search to look up any address in WordFly. Once you open the subscriber's profile you will see the sending status at the top of the profile page. You can clear the unsubscribe event right there. The other option is to import the subscriber into a new list and override the unsubscribe event on the list summary page. This option is great if you have multiple subscribers to add back. 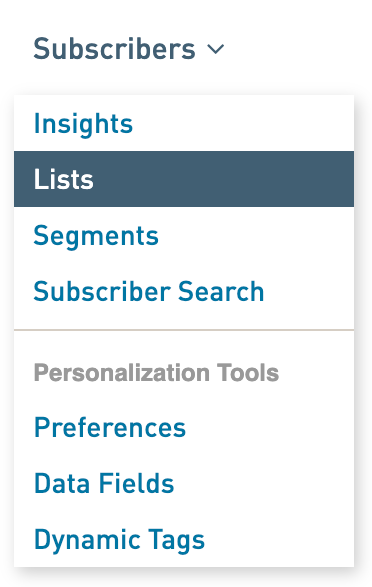 The fastest way to override one unsubscribe on a a single subscriber's record is to look up the subscriber's profile in WordFly and clear the flagged event. 1. Go to Subscribers > Subscriber Search. 2. Search for the subscriber address. 3. This will bring up the subscriber's email address (if it can be found), hover over the right side of the record and click Select to look at their record. 4. Click the subscriber's email address at the top of the profile page. On the subscriber's profile, you should see an exclamation icon next to the subscriber's address. This indicates there is a flagged event preventing the subscriber from receiving emails. Clicking on this email address allows you to clear the event. 5. After clicking on the email address, select Clear to remove the subscriber's unsubscribe flagged event. 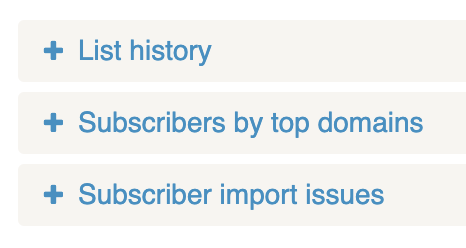 Now the subscriber can be added to new list imports! 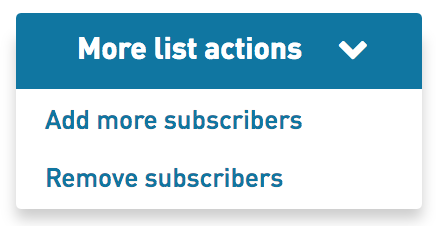 The fastest way to override multiple unsubscribes on a regular basis is to create a new list called Unsubscribe Override and then continue to add subscribers to this list that want to re-subscribe to your email list. You will import addresses to this list whenever someone reports they want to be added back and override the unsubscribe through this list. Once this is done, any new list imports with this subscriber will not suppress the address! 1. Go to Subscribers > Lists. 4. Give you list a name (Example, Unsubscribe Override) and select Continue. 5. Paste the subscriber's email address(es) and select Start Importing. Add multiple addresses if overriding more at one time, separate addresses with commas. 6. This subscriber will show up under the section Subscriber import issues. Open that section. 7. Click the checkbox by the subscribers address and use the Actions dropdown to select 'override for this subscriber'. *You can Override for this list only or Override for this subscriber. Either option will get this subscriber back on your mailing list and the subscriber will show up under Overrides. Use this list every time you would like to override an unsubscribe! -Follow steps 6 & 7 above to override the unsubscribe for new subscribers added. How do I add an unsubscribe link (to my email)? How do I set up my unsubscribe landing page? Can I send an email without an unsubscribe link? How do I manage unsubscribes and hard bounces in my lists? How do I re-subscribe an unsubscribed address?